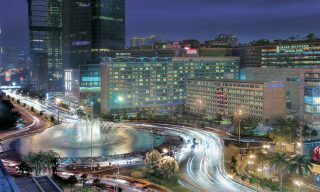 Standing at 121 meters, the monument is a symbol of peace, serenity, and national unity for Indonesia. 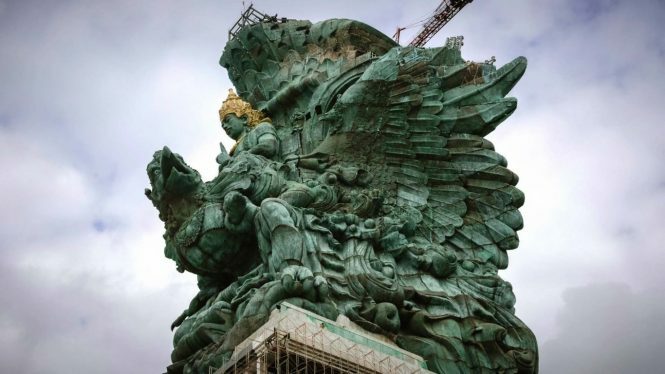 The holiday island of Bali is now home to the tallest statue in Indonesia, a 121-meter-high Garuda Wisnu Kencana (GWK). A symbol of peace, serenity, and national unity, the monument is now the second tallest statue in the world, after the 153-meter-tall Spring Temple Buddha in Hainan, China. It dwarfs the Statue of Liberty in New York and Christ the Redeemer of Rio de Janeiro. 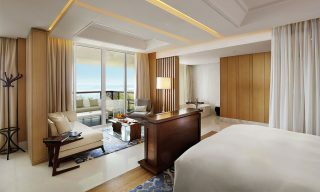 Inaugurated by Indonesian President Joko Widodo in a ceremony featuring traditional dances, music, and fireworks, the GWK took a total of 28 years to build. 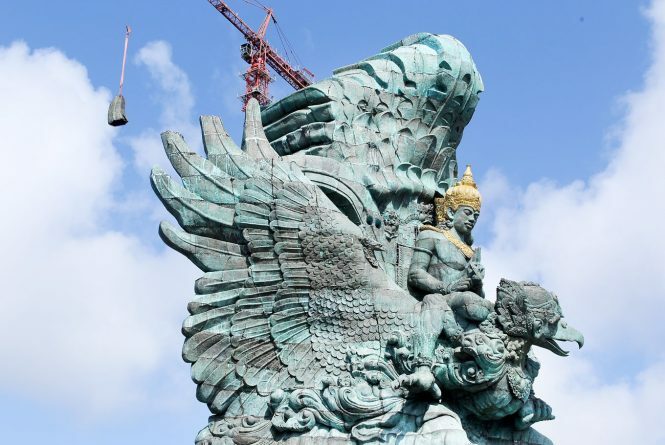 The GWK statue depicts the Hindu deity Vishnu in a state of meditation, riding on the shoulder of the ferocious Garuda bird. In Indonesia, the mythical bird is considered a national emblem, showing up on the country’s coat of arms and lending its name to the state-owned airline. 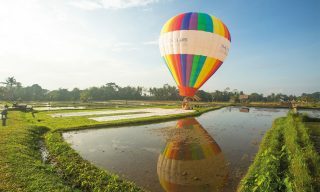 Located within the Garuda Wisnu Kencana Cultural Park, which is about a 10-minute drive from Ngurah Rai International Airport, the imposing statue can be seen by passengers on their final approach to the airport or upon takeoff. Crafted from copper, brass, and steel, the GWK statue is said to be able to withstand an earthquake of eight on the Ritcher Scale, according to its Bali-born sculptor and designer I Nyoman Nuarta.